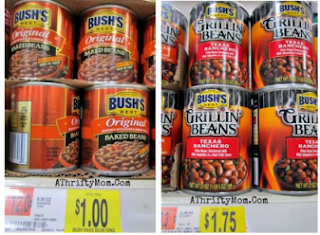 Bush's Baked Beans only $0.50 w/ Coupon! Wow, check out these great deals you can get on baked beans at Walmart! Thanks for deal and photo, A Thrifty Mom!